Àdhamh Ó Broin is a passionate man; passionate about his country, passionate about his culture and passionate about his language, a language that was nearly lost to history. Ó Broin discovered his love of language as an adult, studying everything from German and French to Dutch and Slovene, but his connection to Gaelic ran deep and became life-changing. He has devoted a great deal of his time and energy to the immense task of resurrecting forgotten dialects such as Dalriada Gaelic, his local dialect. And he is also the first person in almost a century to raise a native speaking family. “I speak only Gaelic at home with my three youngest children, who are all fluent in our local dialect,” he said, explaining that his family would think it strange if he spoke English to them. Ó Broin is Scots to the core. He loves his haggis with “neeps and tatties,” a traditional meal of savory meat pudding with roasted turnips and potatoes, although he prefers his haggis of a vegetarian variety. He drinks beer, but likes a “wee drop” of whiskey now and then. And he’s a prolific writer, singer and also a storyteller, something he’s learned bit by bit over time. 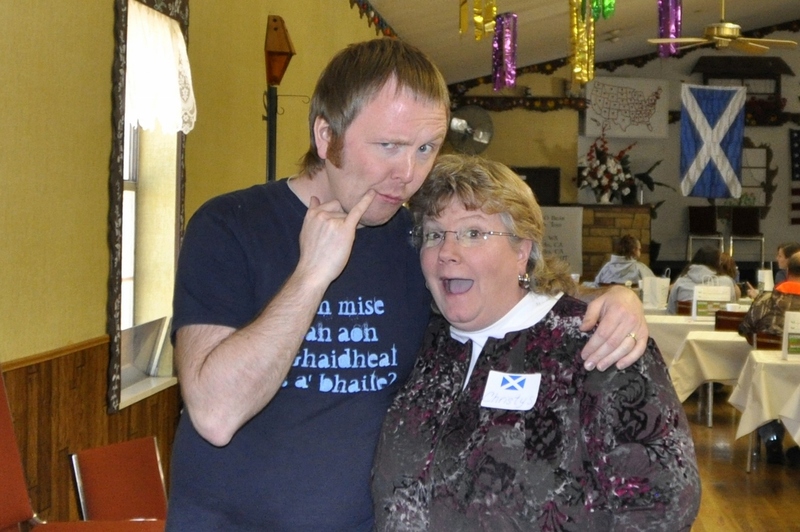 To become a fluent speaker of Scottish Gaelic, Ó Broin spent time with elderly people, who he feels are the richest resources of culture and language in Scotland. Sitting and having a cup of tea with the “old folks” gave him the opportunity to learn, not just the words of Scottish Gaelic, but the speakers’ “lifestyle and wisdom, their take on life and how they looked at the world.” His ultimate goal was to immerse himself in the culture as well as the language. Sadly, Ó Broin said the culture is fading, and the language is losing idiom and color at a staggering rate. Only about a dozen dialects remain of over 200, and the last 50 years have seen a drastic decrease in native language speakers. According to Ó Broin, the ignorance of the tongue by the government in London over the years has contributed to its demise. To try and curtail the loss, he founded DROITSEACH, a project whose goal is to ignite interest in the lost Gaelic dialects of Scotland and revitalize the language and culture. 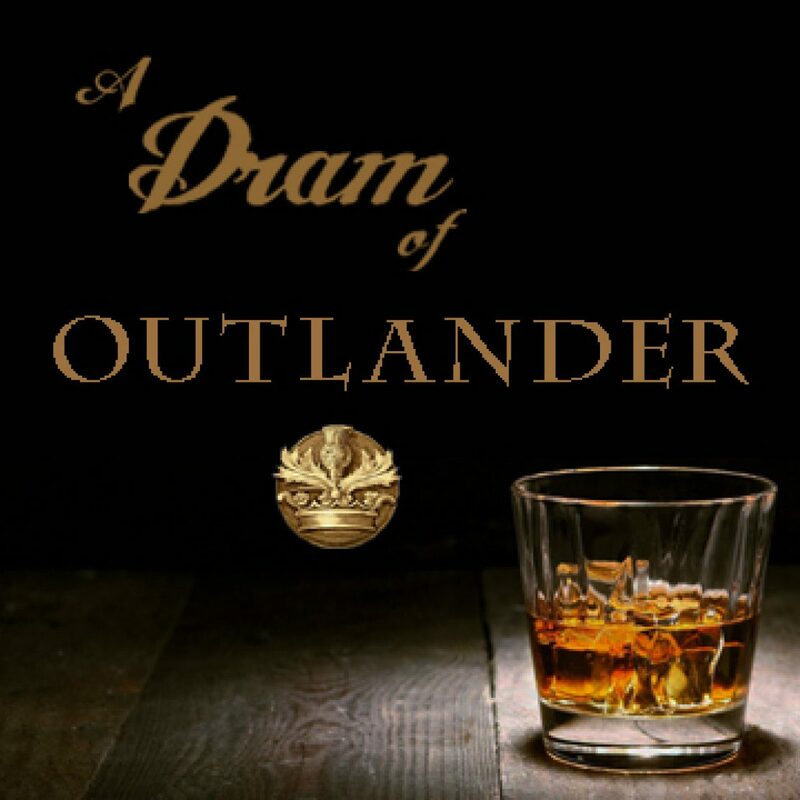 It was the DROITSEACH project and his desire to see people take pride in their language that led him to meet with the producers of “Outlander,” the Starz original television series based on Diana Gabaldon’s best-selling books. Ó Broin was aware of the novels because of Gabaldon’s treatment of Gaelic in the text. In a question and answer session on his website, Ó Broin explained that he was “moved to tears” by the respect shown to the language in the books, and when he found that the show was in need of a Gaelic consultant and coach, he reached out to them. “It was like someone had finally heard our cry in the darkness. I knew, reading this, that we could do something truly fantastic, maybe even revolutionary in the strictly cultural sense, and somehow I knew I had to make sure the job was mine,” he said. 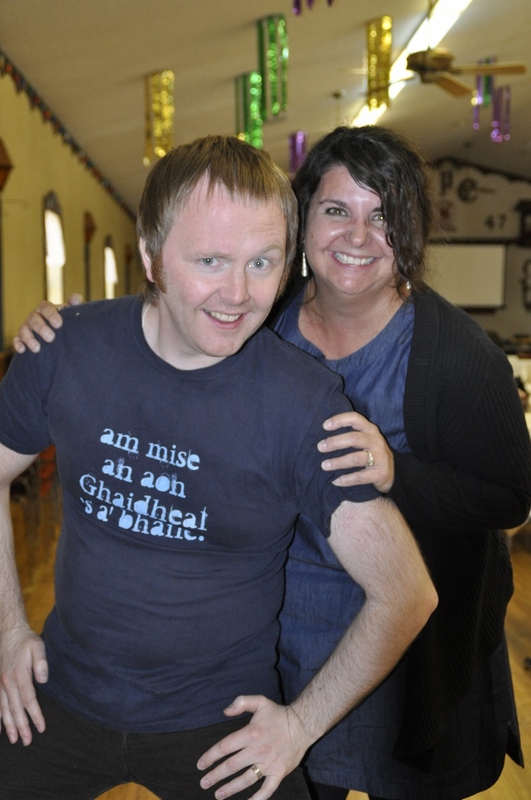 As Gaelic consultant, it is Ó Broin’s task to make sure the actors and actresses speak with as close to proper pronunciation as possible and that their lines are accurately translated. Though his days on the set of “Outlander” are anything but typical, he enjoys being a part of something that will bring Gaelic to the masses. 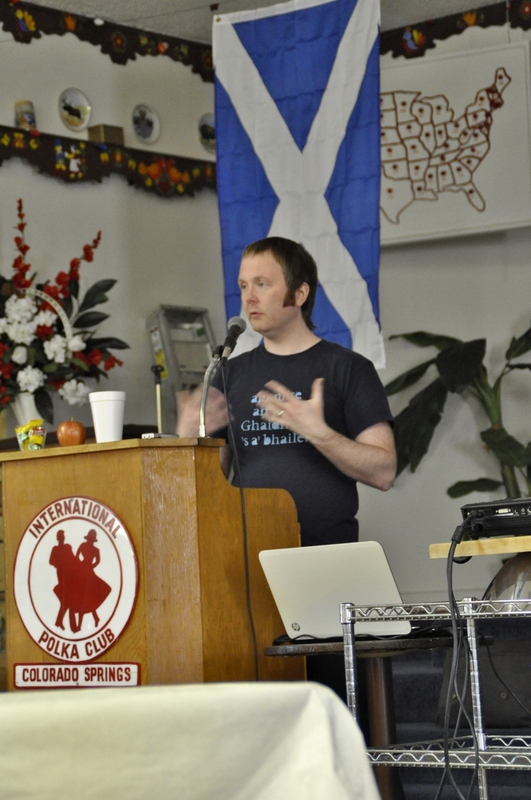 Because of his Gaelic outreach program and his sudden popularity among “Outlander” fans, Ó Broin embarked on a tour of the western United States in March, which took him to Seattle, Sacramento, Los Angeles, Salt Lake City and Colorado Springs as a guest at Scottish-themed events. 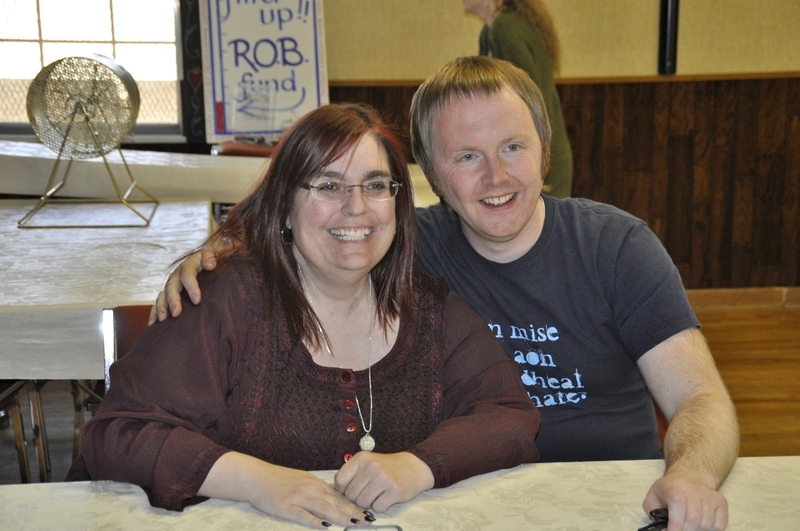 Coordinated with Stephanie Elkins, founder of the Rocky Mountain Sassenachs, an “Outlander” fan group in the west-central United States, the tour allowed Ó Broin the opportunity to share his passion for Gaelic. His presentation included everything from history and culture to his efforts in reviving the language. He performed a bit of traditional music as well, and of course he shared his experiences on the set of “Outlander.” His audience followed in the footsteps of the cast and learned first hand the difficulties, and sometimes the humor, of learning to speak a new language. Christy and Adhamh getting silly. Thank you Christy for contributing this insightful article and Àdhamh Ó Broin for sharing your passion. About Christy Wiabel Smith: She is a recent graduate of Colorado State University – Pueblo with a degree in journalism. She loves writing profiles about amazing individuals like Adhamh and hopes to publish a book of their stories some day. She has two grown boys, a step son and daughter, and two wonderful grandchildren. Christy lives in Colorado Springs with her husband, two dogs and a psycho bird named Boomie. Contact: cak9463@yahoo.com. Adhamh and I clowning around. Loved this article, so interesting and hopeful.